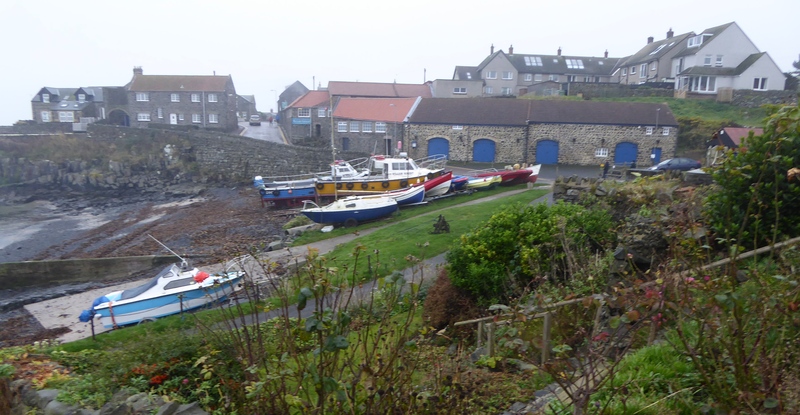 Beadnell is another fine Northumbrian coastal village with sandy beaches and a harbour. The sheltered bays are popular for water sports. Near the harbour are some lime-kilns which were used for curing herrings. I leave Beadnell with other walkers passing past caravan sites and fields. 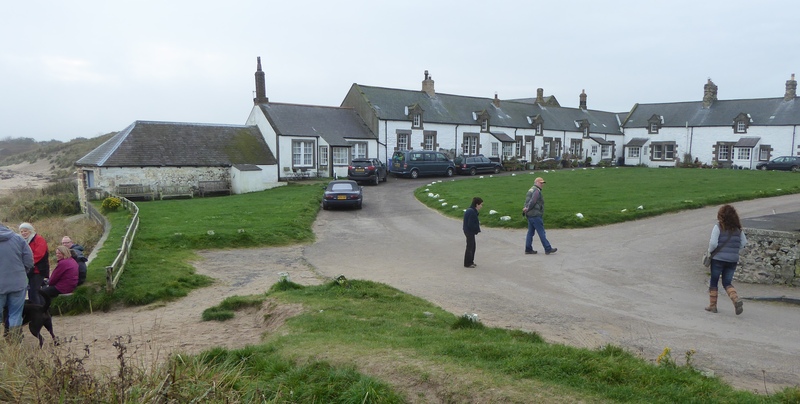 I arrive at an attractive village of Newton-by-the-sea or Low Newton, with its white washed cottages around a square or green, most of which is owned by the National Trust. The sheltered bay is a haven for wildlife. Continuing along the coast past another golf course is Dunstanburgh Castle, not quite as imposing as its bigger cousin Bamburgh. Nevertheless it still looks quite imposing with its tower and sheer cliff down to the sea on one side. I pass the small fishing boats moored up in the harbour at Craster. The village is known for its curing of herrings or kippers and I passed a smokehouse as I walked through the village. I stopped at a nice coffee shop for coffee and scone, a bit expensive but very nice. I walk into the small village of Boulmer, another village associated with smuggling. It was claimed to be the smuggling capital of Northumberland in the 19th century. The biggest place I noticed in the area was RAF Boulmer. I stride onto Alnmouth as I have a bus to catch. I just have time to snap a few photos of a beautiful sunset over the beaches at Alnmouth before catching the bus. This entry was posted in England, Northumbria and tagged Coastal Walking, Craster, Dunstanburgh Castle, England, Sunsets, Walking. Bookmark the permalink.